Eliezer is using Smore newsletters to spread the word online. Stanley Kirk Burrell; he is a rapper, actor, entrepreneur, and dancer. You may know him as M.C. 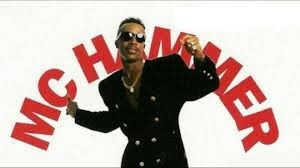 Hammer from the song "U Can't Touch This" or the hammer dance. His greatest time if success was in the 1980's and 1990's.He sold 100 million records worldwide. He has many many awards and is the first hip-hop artist to achieve diamond status on an album. Stanley basically spent all of his money and after his rap career was over he did not make enough to pay off his debt. So in 1996 he filed for a chapter seven bankruptcy. Although M.C. Hammer did make 30 million dollars yearly with his career, Stanley had a 30 million dollar house and over 200 employees which cost 500 thousand a month to manage. He was spending more than he earned a year. His success was short lived and when his career peaked in 1991 he was no longer able to pay for his lifestyle. When the bankruptcy came he had already finished his career as a rapper. In 1996 he owed 13 million in debt and only had 9 million to his name. This is what M.C. Hammer is most famously known for. What happened to his assets? All of his assets were liquidated. His house and all his other real estate. His cars were all sold. His employees were fired and his helicopter was also sold. He still owes the IRS 800 thousand dollars. He has a reality tv show and his current net worth is 1.5 million. If he had kept track of the ratio between spending and income he could have prevented his bankruptcy. He just needed to budget his spending.